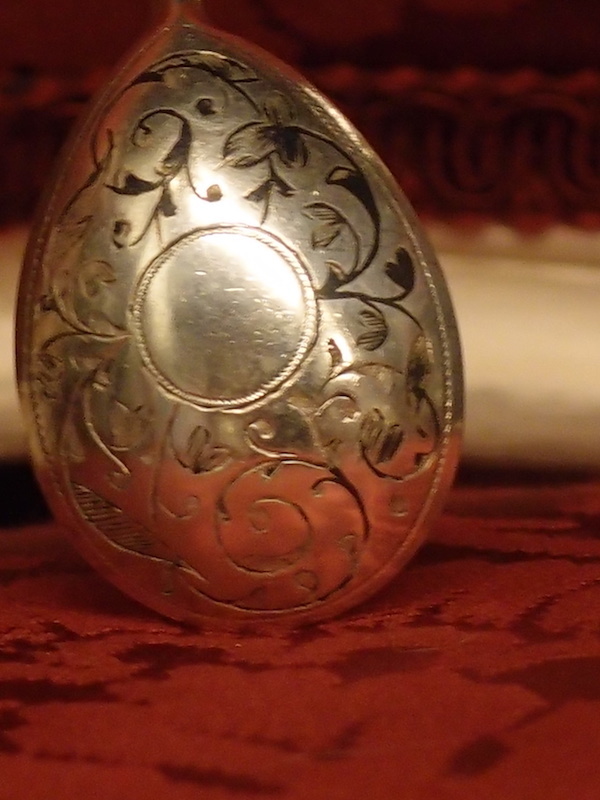 Moscow 84 zolotniks (875/1000) grade silver, this Old Russian Style or Panslavic spoon is hallmarked for the assay master A. Romanov active 1886 to 1994. Since the mark has the date (illegible) below the assay master's initial it is probably be between 1886 and 1899, when a new Kokoshnik mark prevailed. It weighs 24 grams and is 14 cm long. Maker V.M. Ashmarin, active 1883 to 1908.The niello decoration is very worn. 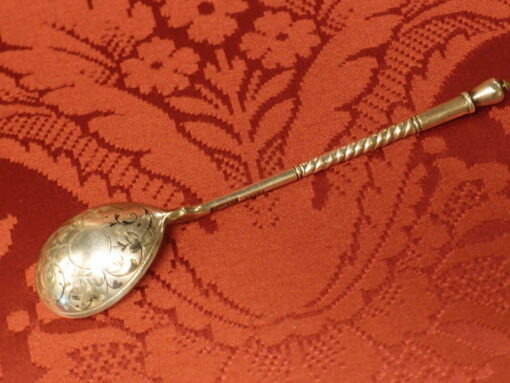 Moscow 84 zolotniks (875/1000) grade silver, this Old Russian Style or Panslavic spoon is hallmarked for the assay master A. Romanov active 1886 to 1994. Since the mark has the date (illegible) below the assay master’s initial it is probably be between 1886 and 1899, when a new Kokoshnik mark prevailed. It weighs 24 grams and is 14 cm long. Maker V.M. Ashmarin, active 1883 to 1908.The niello decoration is very worn.